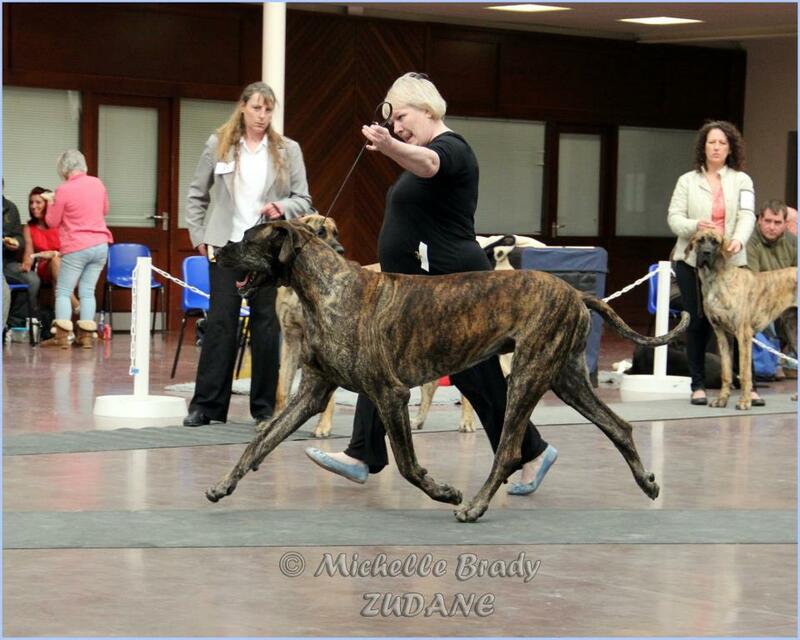 Zion was our first Brindle and first IKC show boy. 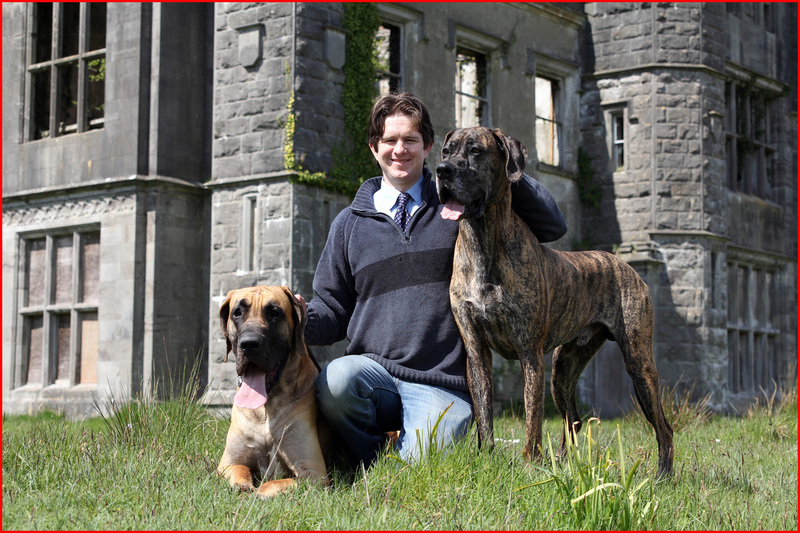 He was the one that brought us into professional showing and indeed made our dreams come true by not only bringing us to the World's largest Dogshow ....... but by Winning there, twice! My Stripeydoodles was a very very special boy & is so terribly missed. 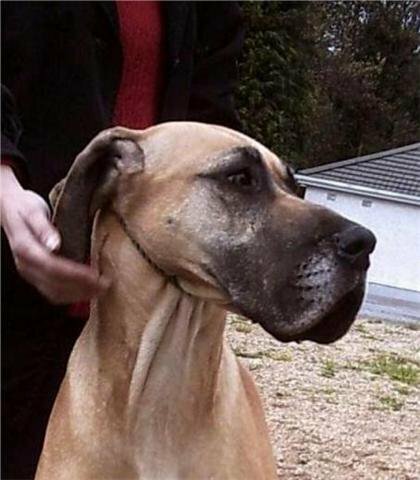 Zi was taken very suddenly from us without warning with a sudden severe lung issue (clot/embolism). His untimely death left us devastated. 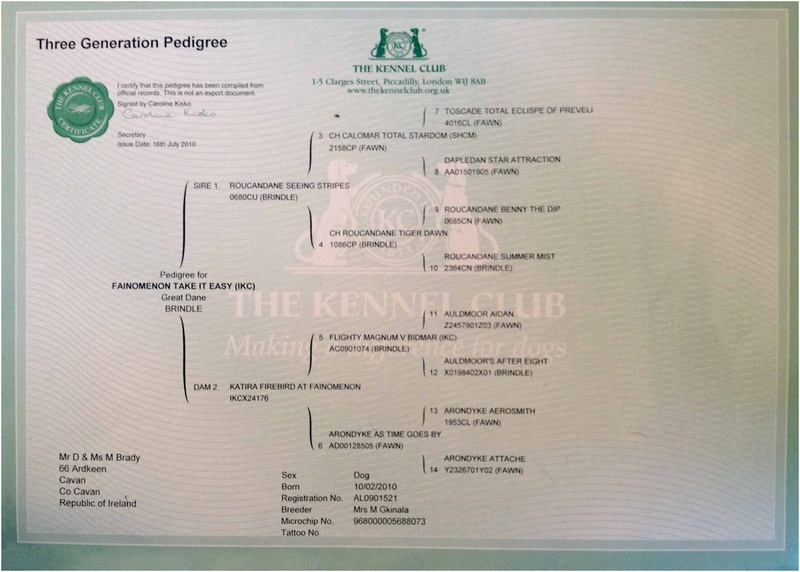 Zion was sired by UK Brindle Champion, Roucandane Seeing Stripes, 'Miller' and out of Katira Firebird at Fainomenon, & was bred by Maria Gkinala, Bawnboy, Co. Cavan. 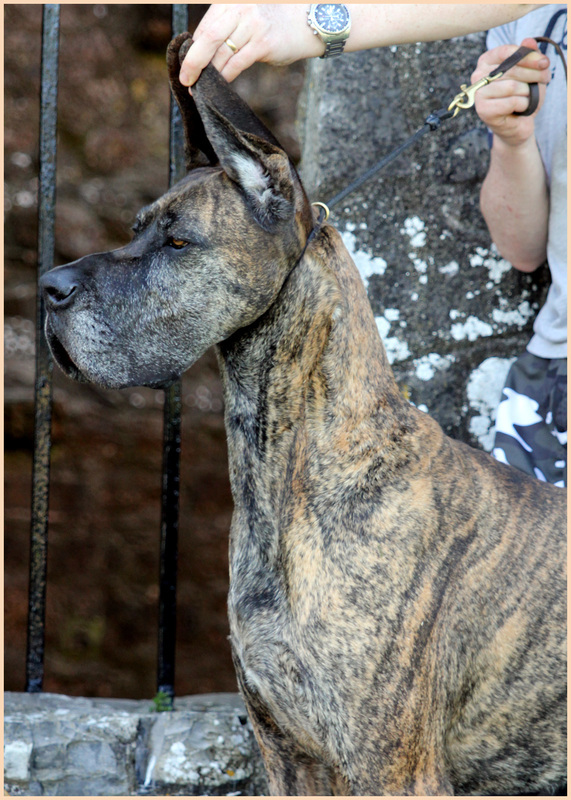 Some of Zion's achievements were two Reserve Placings in CRUFTS 2012 and CRUFTS 2013, BEST BRINDLE DOG IN SHOW in the SGDC Show in Scotland 2012 beating his UK Champion Dad & then followed it up winning BEST BRINDLE DOG IN SHOW in 2013 again plus winning a large post grad class in the same show!! 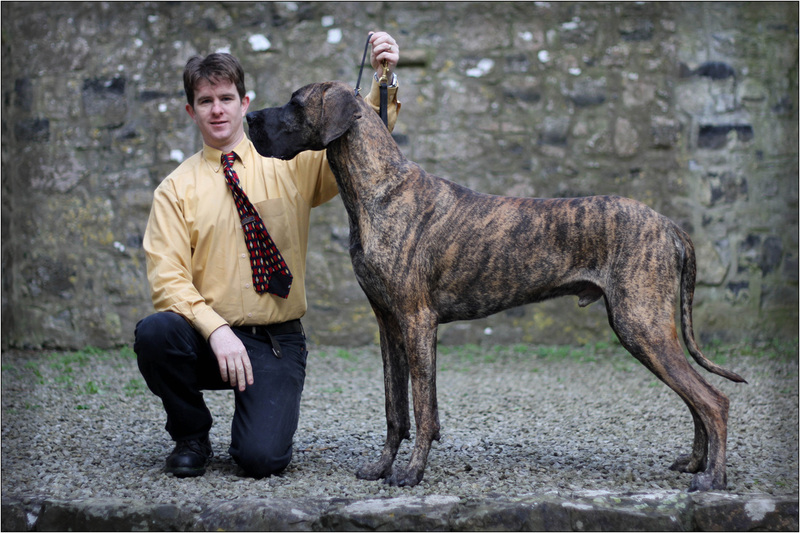 He had also been Reserve Best Brindle in Show in the Irish Great Dane Championship Shows. 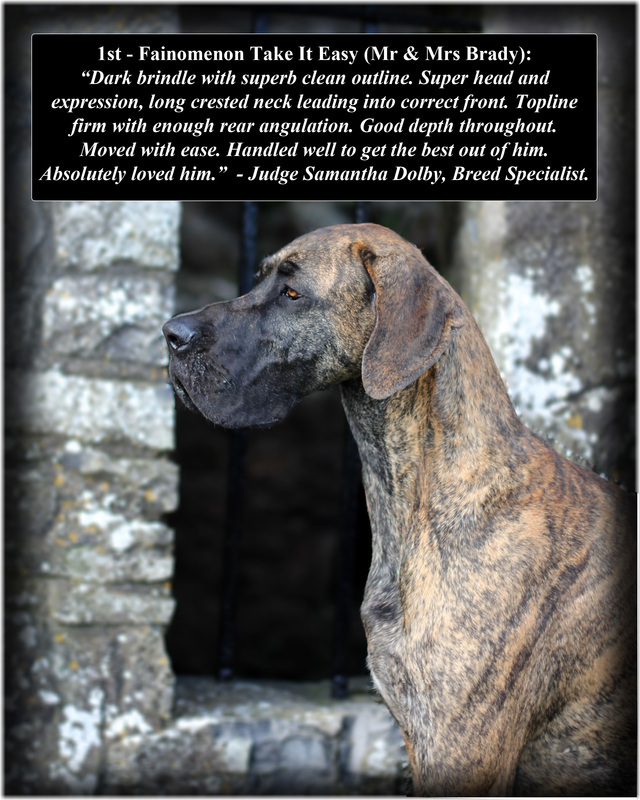 Zion was CRUFTS qualified for life having attained his UK Stud Book Number at only 18 months of age. He was consistantly placed at Championship level in both the UK & Ireland, with numerous wins under his belt despite not being heavily shown. We're so very proud of our stripey boy, he taught us so much & was such a character, famously known for his vertical jumps 6 feet in the air, both in and out of the showring!!! He is sorely missed & always will be. F. Take It Easy, 18 months old. 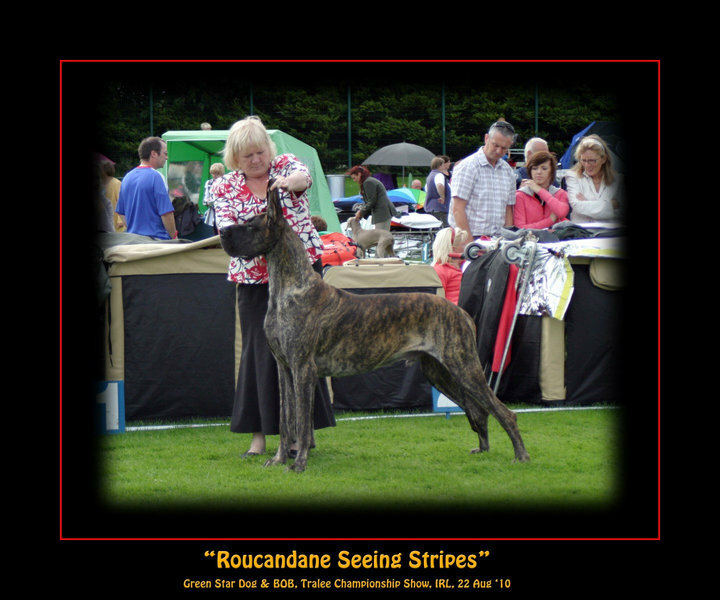 Zion's sire UK CH 'Roucandane Seeing Stripes', aka Miller, owned & bred by Mrs Sheena Booth, Scotland. 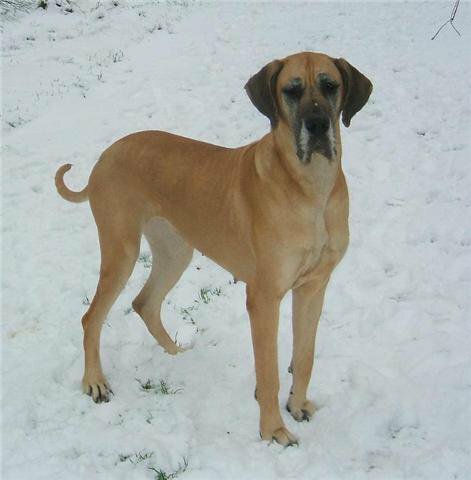 Miller unfortunately passed away in November 2012. 'Katira Firebird @ Fainomenon' otherwise known as Skye. 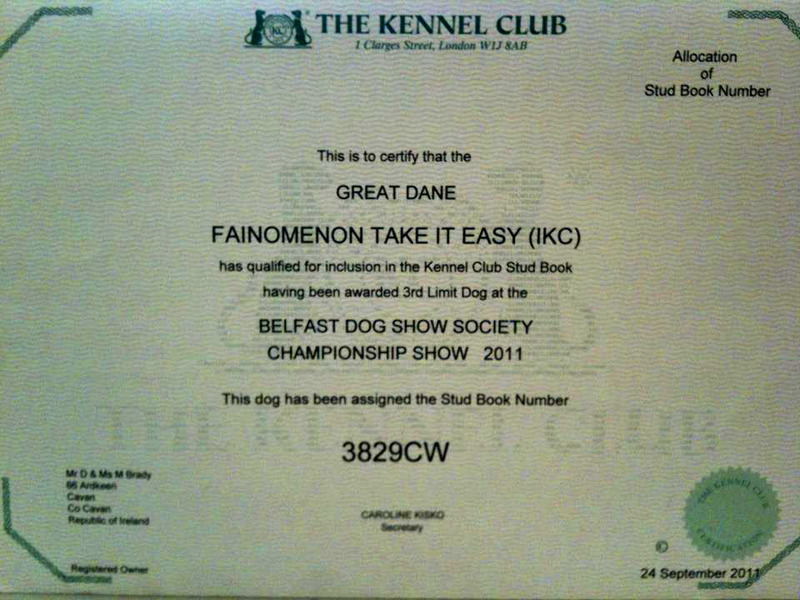 Zion's Kennel Club Stud Book No. Certificate. 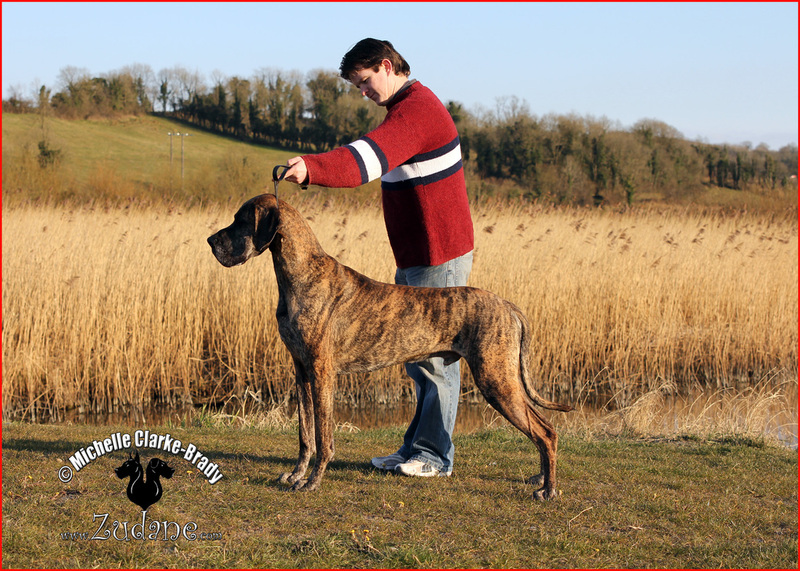 Zion's UK KC Stud Book No. 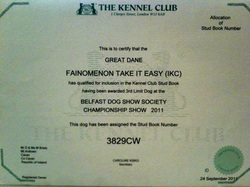 attained by his placing in Limit Class in Belfast Dog Show Society Championship Show at 18 months old. 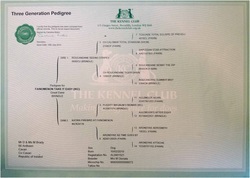 Zion 'Fainomenon Take It Easy at Zudane's Three Generation Pedigree Certificate.